PARK FALLS – The Stratford boys basketball team topped the century mark for the first time this season, whipping Chequamegon 103-60 in a Marawood Conference crossover game Friday night at Chequamegon High School. Twelve different Tigers scored in the win as Stratford shot 51 percent (40 of 78) and made 13 of 36 from 3-point line. Ben Barten made 12 of 13 shots from the field and scored a team-high 27 points, and grabbed 13 rebounds, in the victory for Stratford. 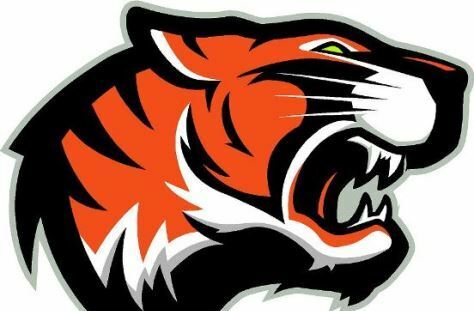 Chandler Schmidt made four 3-pointers and scored 15 points, and Lance Heidmann and Vaughn Breit each added 11 for the Tigers, who are now 17-0 overall and 13-0 in the Marawood South. Chequamegon is now 1-15 overall and remains winless at 0-13 in the Marawood North. Stratford plays at Wausau Newman Catholic on Monday. STRATFORD (103): Teddy Redman 1-5 0-2 3, Max Vanderhoof 1-4 0-0 3, Okley Wrensch 3-9 2-2 10, Dawson Danen 4-9 0-0 8, Hunter Hannan 1-2 0-2 2, Chandler Schmidt 5-8 1-1 15, Branden Ackley 2-8 2-2 6, Sam Schoenfuss 2-3 0-0 6, Vaughn Breit 5-9 1-3 11, Lance Heidmann 4-8 0-0 11, Ben Barten 12-13 3-3 27, Tyler Lappe 0-0 0-0 0, Paul Huther 0-0 1-2 1. FG: 40-78. FT: 10-17. 3-pointers: 13-36 (Schmidt 4-6, Heidmann 3-6, Wrensch 2-7, Redman 1-3, Vanderhoof 1-3, Breit 0-1, Danen 0-2, Ackley 0-5). Rebounds: 46 (Barten 13). Turnovers: 6. Fouls: 13. Fouled out: none. Record: 17-0, 13-0 Marawood Conference South Division. CHEQUAMEGON (60): Statistics not reported. Record: 1-15, 0-13 Marawood Conference North Division.